There isn’t really a word for “synagogue” in Arabic that anyone understands. Very correctly, the dictionary offers the masculine form of the word for “church” (kaniis, instead of kaniisa, though, according to one trusted dictionary, kaniis also means “nosebag”). Colloquial phrases need some mention of Jewishness — “Jewish church” or “Jewish temple” — for clarification. Sometimes the men nodded understanding when I repeated Jewish, or else they asked if I wanted the “American Church.” I wondered for a moment if they were conflating “American” and “Jewish” into one non-Muslim, churchgoing, pro-Israel, Western identity. They told me to turn right after the mosque. 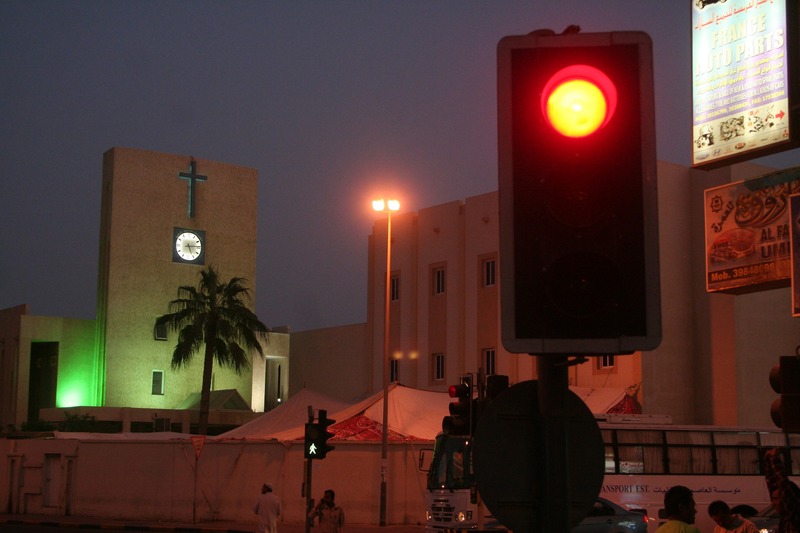 A few minutes later, I was crossing the street towards a huge crucifix, mounted high on the wall of the National Evangelical Church. Jewish church, I’d said, though those words might not have worked well together. Inside one wing of the church was a short, low hallway with many doors. Services were taking place in different languages — in one, sounds of Malayalam; in the next, Filipino musicians played hymns on electric guitars. Next door was the American Mission. Ambassador Houda Nonoo is one member of the Jewish community that settled in Bahrain from Iraq in the late nineteenth century. 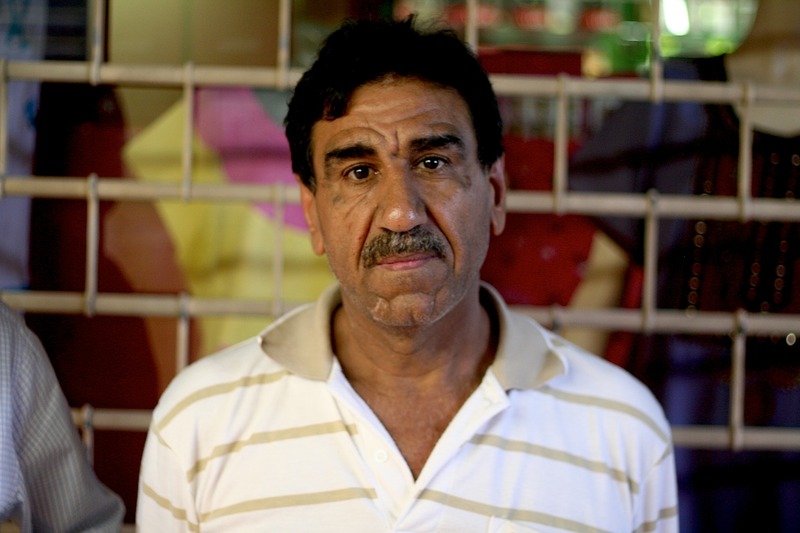 Another Bahraini Jew, the doctor said, would be waiting for me outside his perfume shop, back towards the center of the souq. A taxi driver was summoned, coached with the details, and waved away by the guard with enthusiastic shouts of valediction. 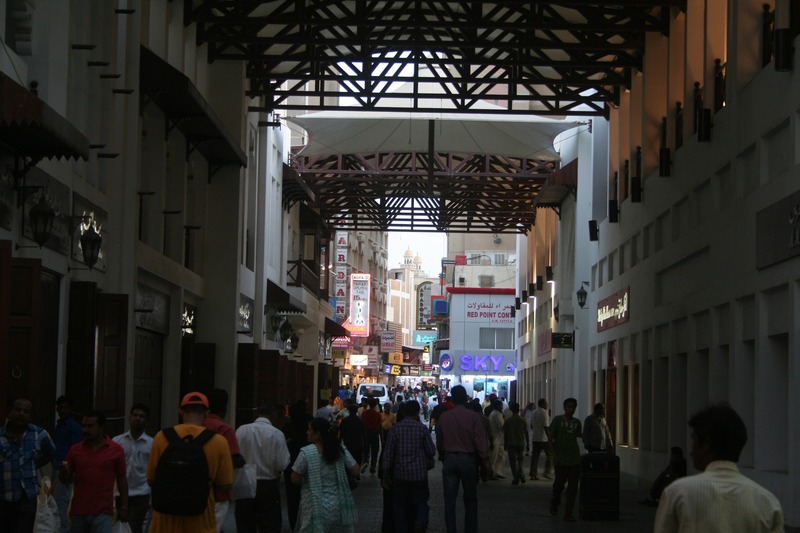 The doctor was confident we would find our way, but after an hour and a half popping in and out of textile shops in the Indian market quarter, one of us began to lose hope. It wasn’t the driver — the meter was running slowly in traffic, but he was steadfast, even when advised by vendors to let me loose on foot. “I cannot leave him,” he had said. “No I don’t like it.” We drove in circles in the neighborhoods choked with Saudi license plates that had popped over the King Fahd bridge for some weekend shopping, yelling for guidance out the window, frowning at the finger points towards right-where-you-just-came-from, and getting no traction from the overly specific address, “Sasa‘ah street”. 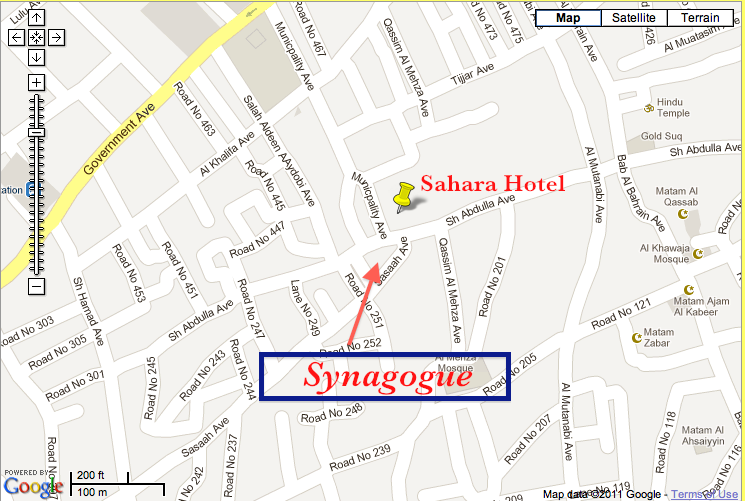 As it turns out, the synagogue is 500 feet away from the Gold Souq down Sheikh Abdullah Avenue, just across from the backside of the Sahara Hotel and opposite “Muscat Electronics”. 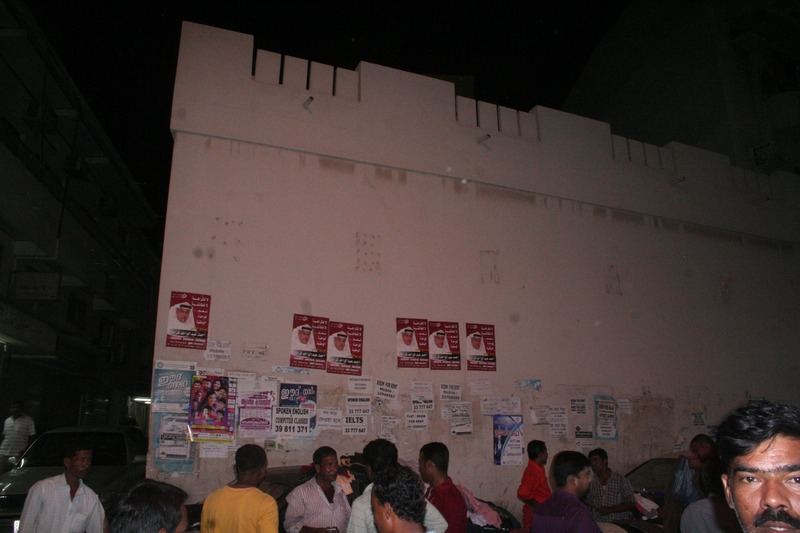 No one in the area would say so, but it’s front door is very much on Sasa’ah Avenue. 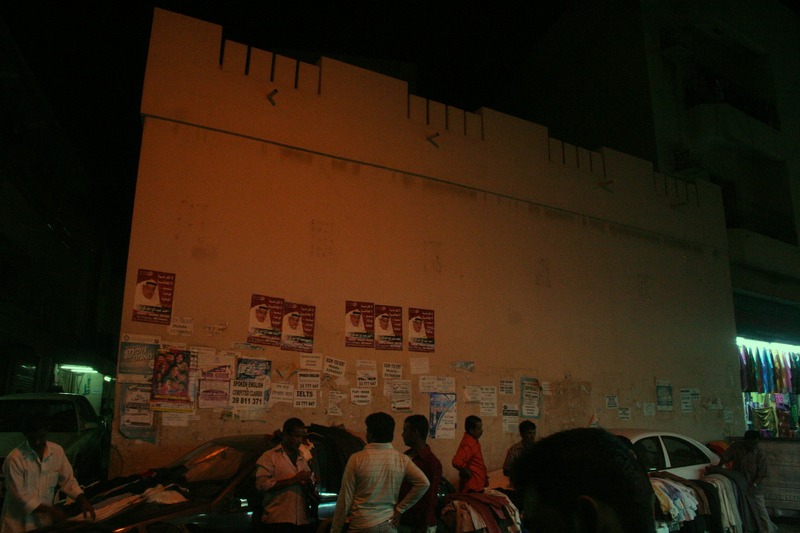 A small sign marks the cross street: Lane 253, Central Manama. We were delivered by an old man who had been two years-old when the state of Israel was established and when the Bahrain Synagogue was burned to the ground. The structure rebuilt, a stumpy beige cube with a simply ornamented top like a blocky crown, is not something young people would recognize. 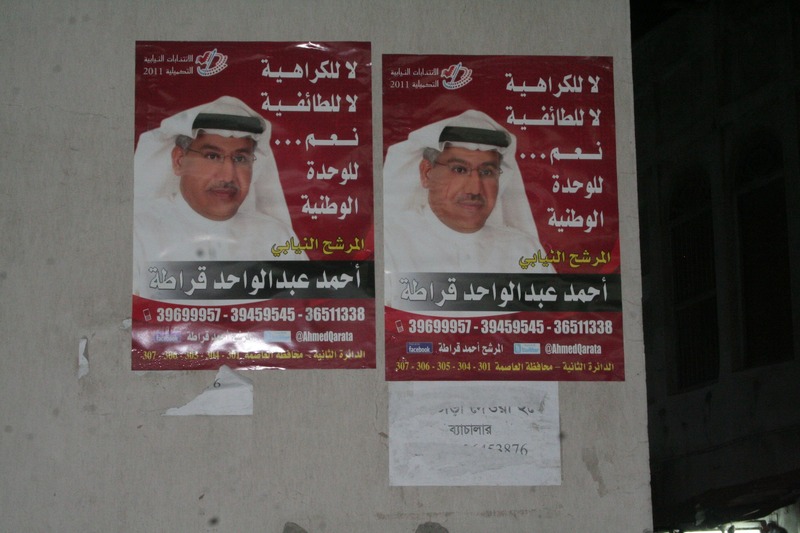 The front wall was papered with flyers for Ahmed Abdulwahid Qarata, candidate for the 2011 Supplementary Parliamentary Elections. There is only one “Death to Israel”, graffitied in black spray paint. 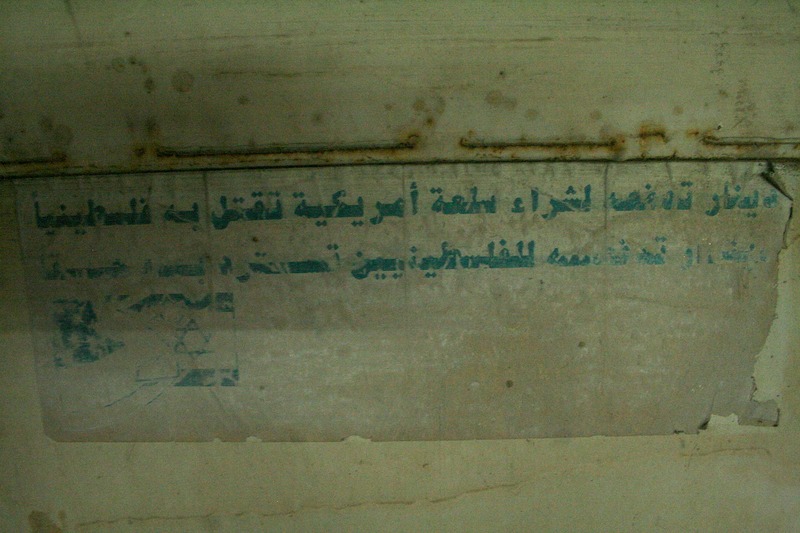 On the grungy double doors, a decades-old sticker presents the Israeli and American flags with a faded slogan in thick, blue Arabic: Every dinar you pay for American goods goes to kill a Palestinian. And every dinar you pay to the Palestinian people helps recover their rights. “Ma fi shi hatha. ‘Aadi,” the driver said, reading the sticker. This is nothing. The usual. The doors were locked — they had been for decades. 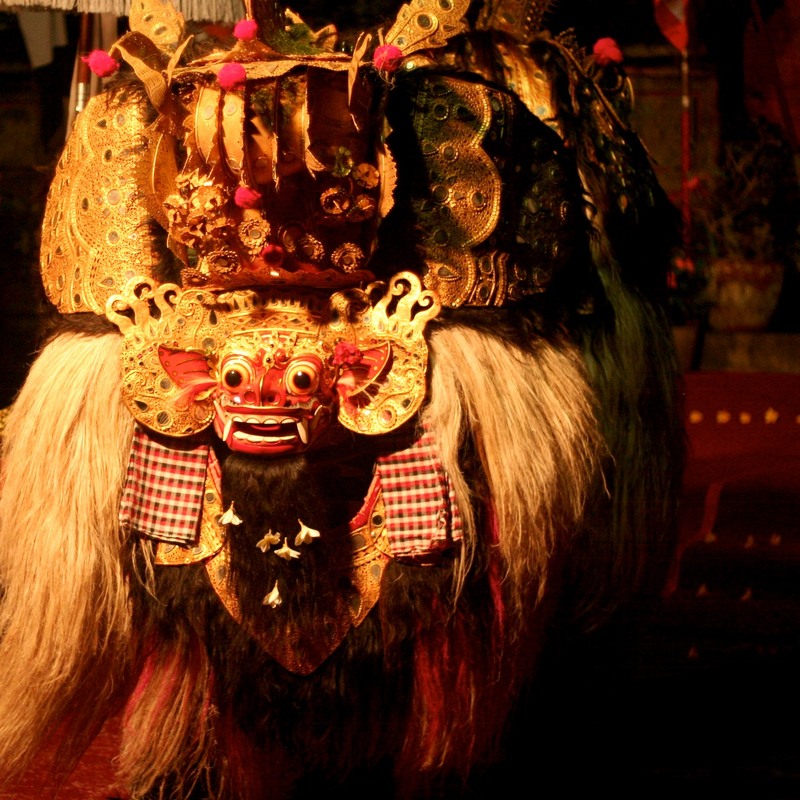 In the tailor’s shop across the street, a man reported in Hindi-tinged Arabic that every month and a half or so, three or four people would come from the cleaning company to maintain the kaniis. “They clean the glass, and inside, like this, only this,” he said. It’s fitting: the Arabic root kannas means “to sweep”. 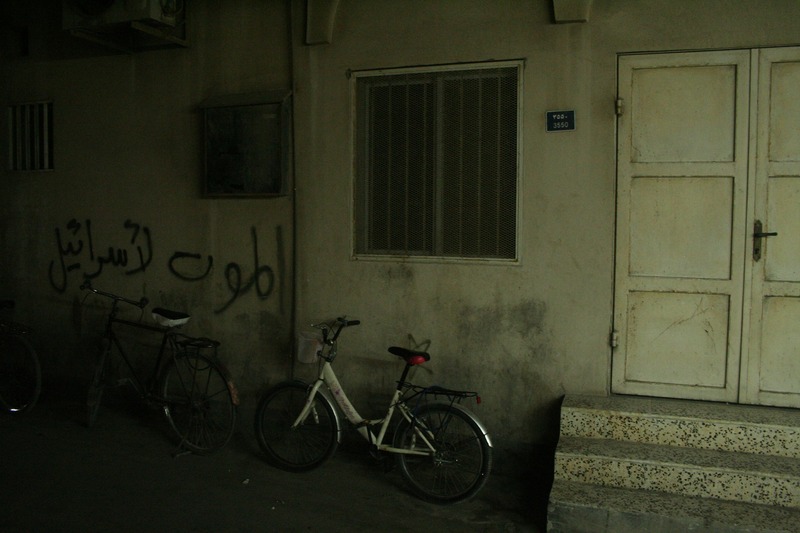 The tailor said that we might be able to look inside if we contacted the owner of the building, a man named Naji Haroun. One of his shops was just down the street, but he was out young employee said, and why were we looking for him? I didn’t have a good answer. Businesses were closing for the day but they directed us to another of his establishments, a money transfer setup with a handful of guys behind the counter. Naji? We had just missed him, they said. I waited while one tried to get him on the phone, and some others made skeptical faces from behind the plexiglass. The teller slipped me the phone in the space below the partition. It was a young voice. 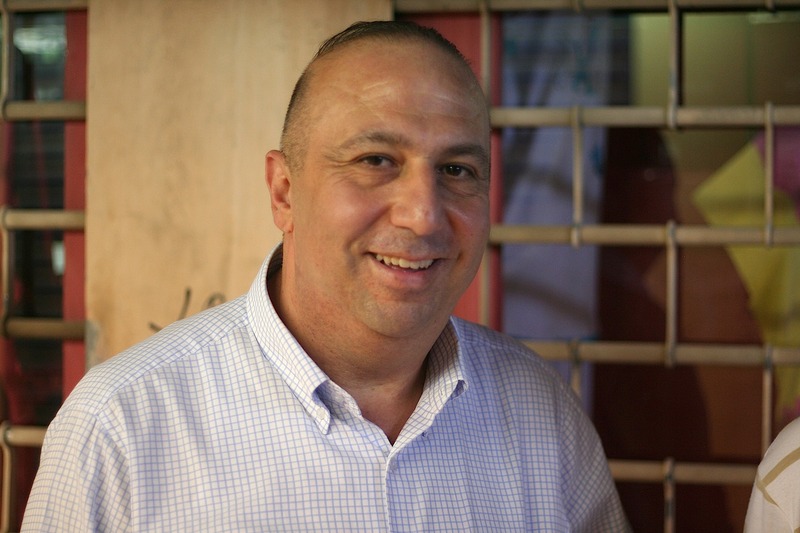 “Why do you want to speak with Naji?” I wanted to be honest, but I couldn’t be clear — he owned a building I wanted some information about, I said weakly. The man, who was Naji’s cousin, said he would try to contact him. I should wait and call back; if he wanted to speak with me, the cousin would provide me with his phone number. The taxi driver sat patiently on the bench. When I called back, the cousin told me Naji was unreachable, and without his permission he couldn’t give me any information. He didn’t sound apologetic — not that he should have been — but I felt I had missed an opportunity to uncover much, much more by minutes and inches. I wrote my foreign digits on a legal pad and left with the driver to find the cab. 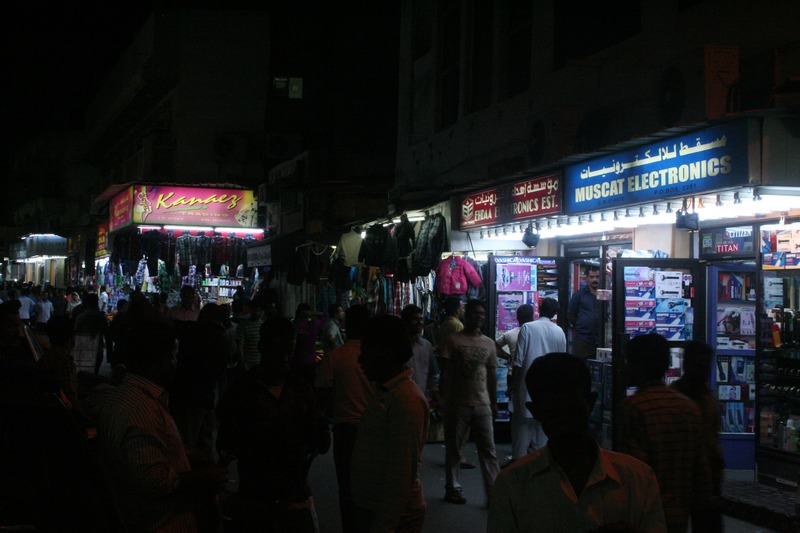 Saleh Yaqoob Yadgar’s Fragrances was right out the door, a few feet down a short alley. Hundreds of colorful bottles of perfume and cologne imported from Europe and Dubai lined the shelves in neat rows. The attendant pointed out the owner, early-fifties with light skin and a round face in a white business shirt with blue crosshatching, talking affably with other men on the street. Speaking with Saleh was like waking up in Brooklyn. 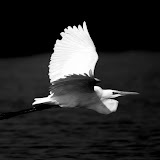 He had lived for twenty years in the United States, and had now moved back with the New York accent to prove it. His grandfather had arrived in the 1880s from Iraq, the first Jew ever recorded to settle Bahrain. According to the Bahraini Jewish writer Nancy Khadhori in her book From Our Beginning to Present Day, the island was once home to “as many as 1,500 Jews”. 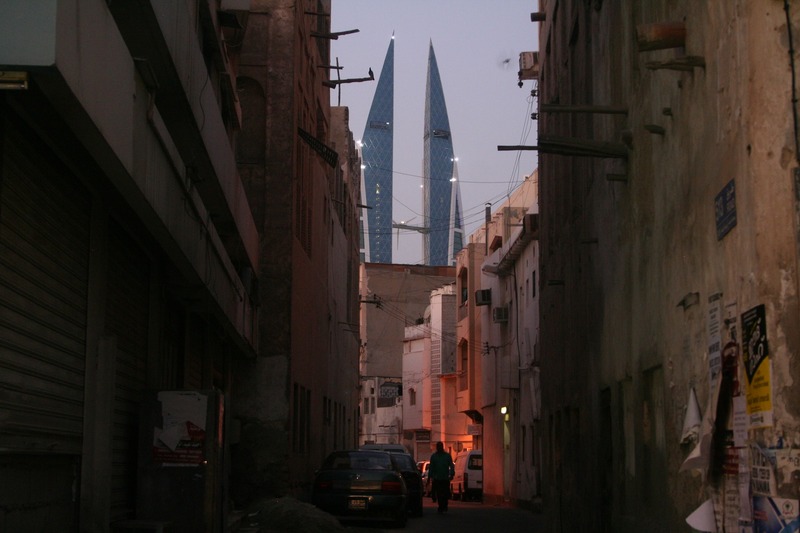 The Yadgars and the Nonoos are among the five or so small families still residing in Bahrain — newspaper articles in the Jerusalem Post and Bahrain’s Gulf Weekly put the community population at exactly thirty-six. (Wikipedia says 37.) 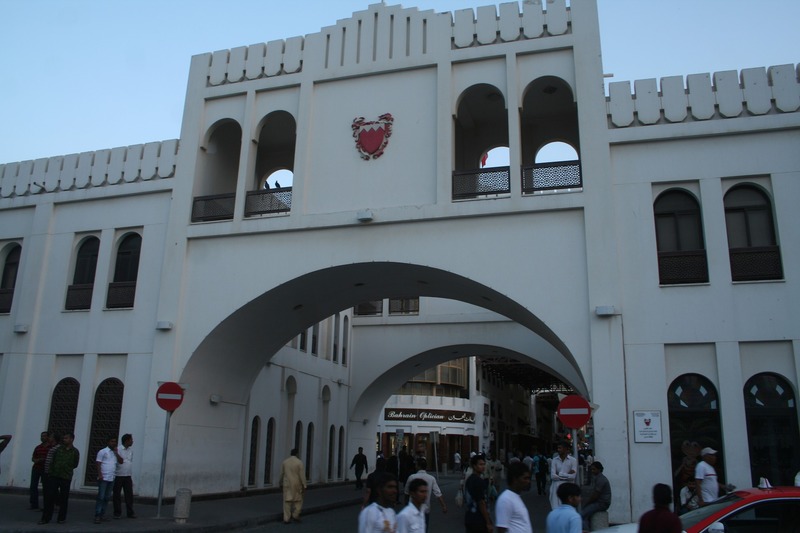 Saleh guessed around twenty-five — a few Bahraini Jews live primarily abroad, in London mostly, but retain a residence in Manama. 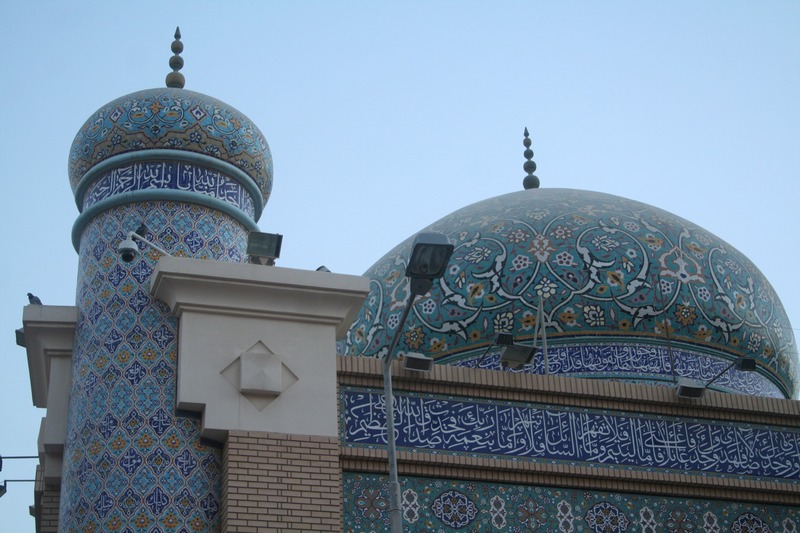 For some auspicious farrago of demographic and historical reasons, Bahrain struck me as calmly open to all things Jewish. No one balked when I told them I was yahoodi on the street — but, then again, did they anywhere else? (Yes.) 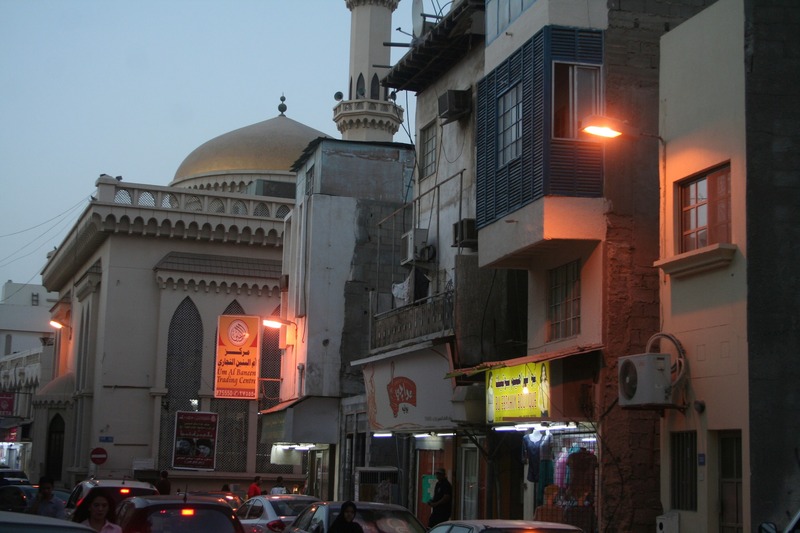 The Bahraini driver was as committed as I was to finding the temple, and the legacies left by entrepreneurial families and political involvement (Ambassador Nonoo’s grandfather Abraham was a member of the country’s first elected municipal council) have fostered intercultural relationships grounded in reality, not stereotype. Shop-owners in the souq and parlementarians alike actually know Jews, even if there are only thirty-six. And for all those who don’t — Muslims protesting against religious discrimination, or South Asians marketing imported goods, or expats in the bar — I have the refreshing impression they don’t care at all. 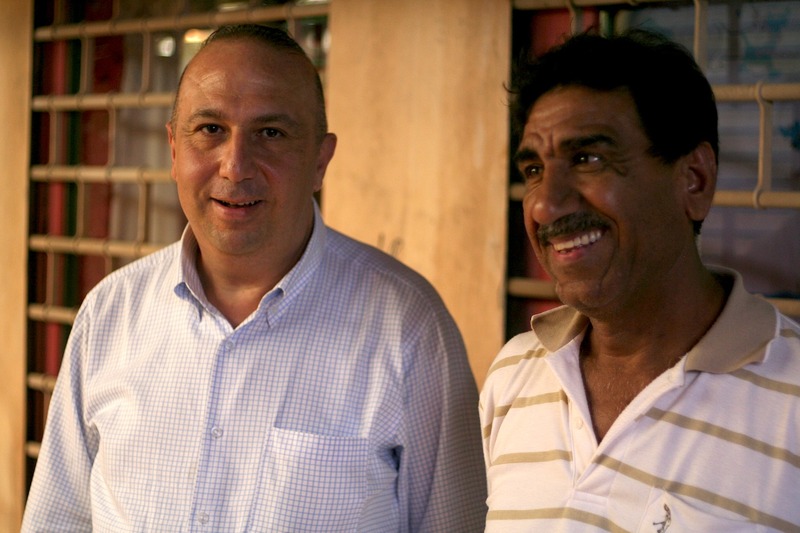 Saleh had never been inside the synagogue, but he said the families would sometimes gather for seders at one or other of the Jewish households. They weren’t very religious, he said. I wasn’t either, I told him. In fact, I didn’t really know why it had been so important to me to find the synagogue, to track down this most tangible vestige of Jewish culture and religious liberty in the Persian Gulf (not to be confused with Congregation Beth Israel in Gulfport, billed as the only Jewish synagogue on the Mississippi Gulf Coast). I wondered if I would have done the same if I weren’t Jewish, or, if as a religiously observant Jew I wouldn’t have quested through the souqs for a shul that was out of service. More than anything, I was likely spurred on by the stubbornness that pushes me to find the hidden and to poke around dark alleyways in pursuit of possibility. 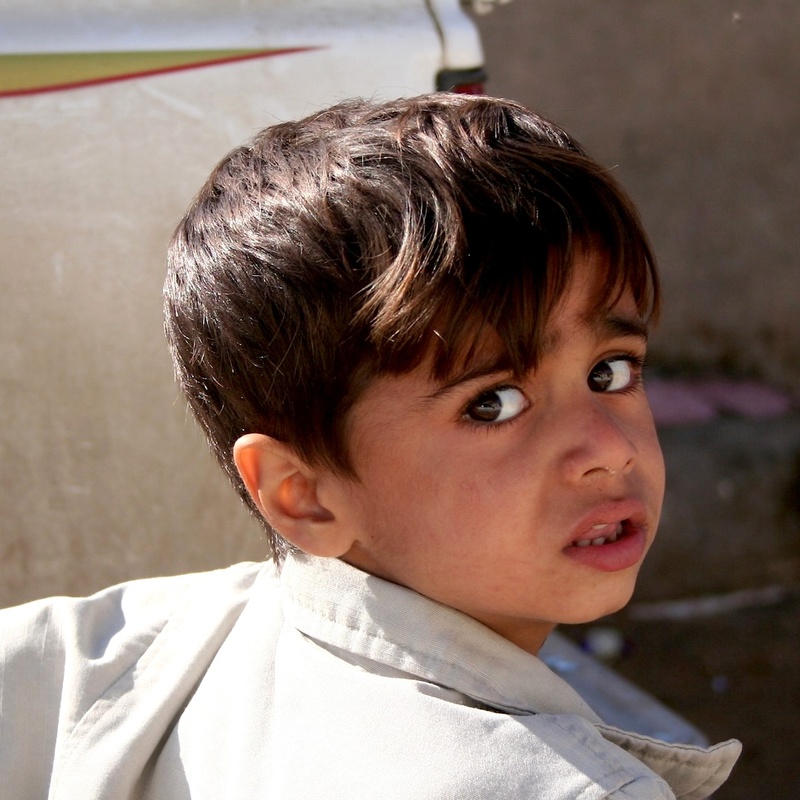 I had wanted to look inside, I said to Saleh, but I couldn’t find a man named Naji Haroun. There is often a point in research where more information becomes added mystery. Sometimes, facts come with questions. Naji and I were not currently on the same plane of existence, but at least I wouldn’t have to wonder if he would ever call me back. What was happening when the cousin said he would try to contact him? What did it mean that we had just missed him? 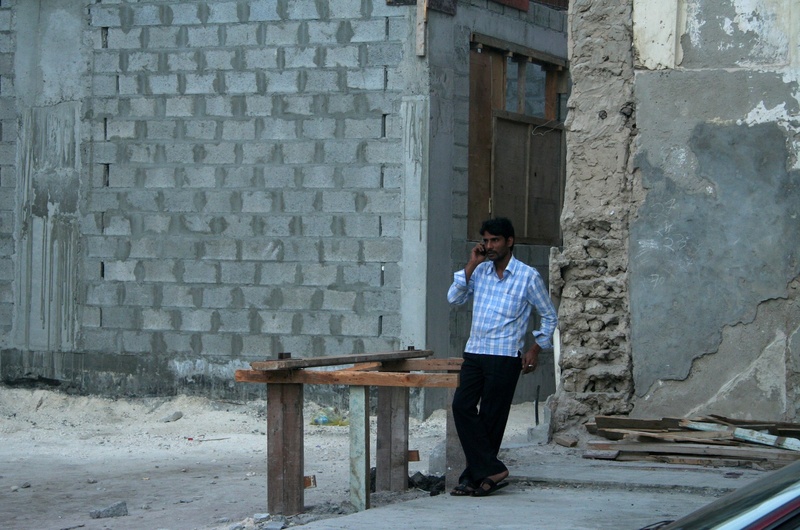 We had come to the end of the short walk to the quiet building on Sasa‘ah Avenue. There are no windows onto the street, and given how little the neighborhood seemed to know about it, it had a presence like a smaller, less sinister version of Yale’s Skull and Bones society house. If I returned to Bahrain with some heads up, Saleh said, he could find me the keys. This year in the Middle East, Friday mornings have been a time for demonstration. But it was evening now; the sun had set somewhere down the alley. Shabbat shalom. More photos and a slideshow from Bahrain right here.